National Citizen Service (NCS) is a flagship government initiative that has the support of schools, colleges and local businesses around the country. It offers a unique opportunity for students aged 16 & 17 to come together with others that life would ordinarily have them pass by. Over several weeks it provides them with an amazing springboard for the future by developing new skills, confidence and a broader set of horizons. Participants do different and exciting activities, meet new people, learn lessons that can’t be learned in a classroom and put their energy and enthusiasm into projects that matter to them. Places are now available on this years courses for Year 11 students, which take place over 3 weeks, at a cost of only £35! (early bird offer, usually £50) Please see their website and below for additional information and to enrol. 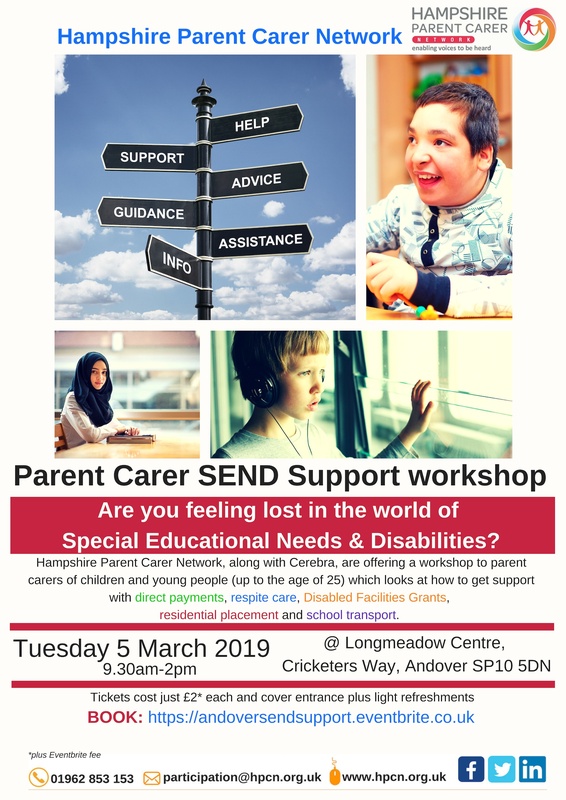 Hampshire Parent Carer Network (HPCN) are holding a support day for parent carers on Tuesday 5th March at The Long Meadow Centre, Cricketer’s Way, Andover SP10 5DN. 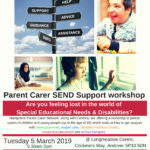 They have SEND specialists CEREBRA coming to share information on what services are in the local area and how parent carers can access them on behalf of their children. They are charging a small fee, to show commitment to the event, of £2.00 via Eventbrite, which is fully refundable up to 7 days before the event. Please see poster for more details. For more information on HPCN please click here. Please click here to view a list of Harrow Way Community Education courses, starting January 2019. Information on courses can be found here. There are loads of events going on in the arts centres and museums too. 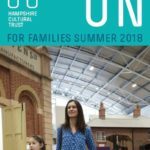 As well as bookable workshops, most venues have free children’s make-and-takes and quizzes over the summer which you don’t have to book, just drop in. Please see attached leaflet for details. Harrow Way Community School has a range of community courses available for adults. To see the new brochure with courses starting in September 2018 click here. Andover NCT are holding a Family Fun Day on Saturday 19th May 2018 at Finkley Down Farm, Andover, SP116NF. 11am to 3pm. Raising money in aid of Andover NCT Branch for vital breastfeeding support in Andover. More information and 30% admission here. A local musical theatre group, Andover Musical Theatre Company Starlights, are holding auditions for their youth production of Grease the Musical. The auditions are Sunday 22nd April at Rookwood School and registration details will be posted shortly on www.andovermusicaltheatre.co.uk/starlights and the AMTC Starlights Facebook page. Auditionees need to be aged 11-17 and available for rehearsals on Saturday mornings and the evenings of show week 30th July – 4th August. More information can be found here. 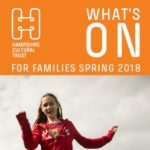 This Spring the Hampshire Cultural Trust (HCT) have lots of fun things going on all across Hampshire, for all ages and many of which are free. 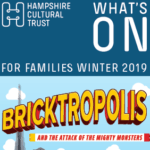 The last few weeks of the LEGO exhibition at Milestones Museum brings Greek Mythology to life for children of all ages, and also in Basingstoke, our outdoor venue Basing House has a Civil War re-enactment event over Easter weekend. There are loads of activities going on in the arts centres and museums too. As well as bookable workshops, most venues have free children’s make-and-takes and trails during the Easter break which you don’t have to book, just drop in. Please see this leaflet for details. Wanting a Career, Working with Young Children? Peter Symonds College Adult and Higher Education are running a full time pathway course, for those aged 16 – 18 who are working or volunteering in an early years setting. There is an Open Evening event taking place on the 28th March, 4.30pm – 7.00pm. 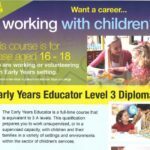 The course is a Level 3 Diploma for the Early Years Workforce (Early Year Educator). The Early Years Educator is a full-time course that is equivalent to 3 A-Levels. This qualification prepares you to work unsupervised, or in a supervised capacity, with children and their families in a variety of settings and environments within the sector of children’s services. For more information please see their poster here, or visit their website.